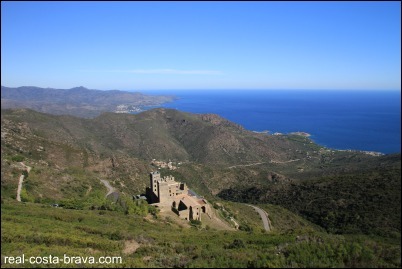 The views from Sant Pere de Rodes over the bay of El Port de le Selva are breath taking! The views are even better from Sant Salvador de Verdera (the ruined castle, which sits on top of the mountain above the monastery). 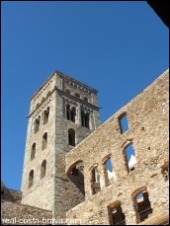 The 6th century Benedictine monastery of Sant Pere de Rodes is now considered to be one of the prime attractions of the Cap de Creus headland, but when Jonnie’s mum moved here it was a ruin (regularly looted by all accounts), even though it had been declared a monument of national historic importance in 1930! 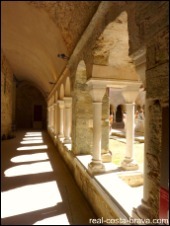 Throughout the 1990s the monastery underwent a massive restoration, and now it is fabulous. We always take people here when they come out to visit and everyone loves it (especially the view). 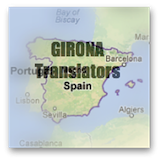 Perhaps that is why it is one of Catalonia’s most visited ancient monuments. 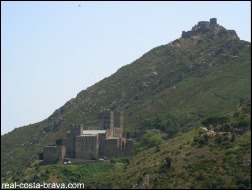 ...and the ruins of the village of Santa Creu de Rodes (1 kilometre north of the monastery). 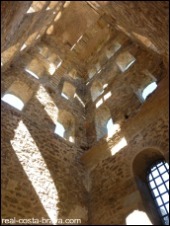 There is a car park a short walk from the monastery. The path to the monastery is flat and paved and so is wheelchair/pushchair accessible (as is the monastery itself - ramps are provided). There is an audiovisual, cafe/restaurant and shop on site. Zoom in on El Port de la Selva on the map below to see the numbers and names of the roads on the headland. The nearest motorway is the AP7. Take the road from Vilajuiga to the Monastery (it’s signposted). 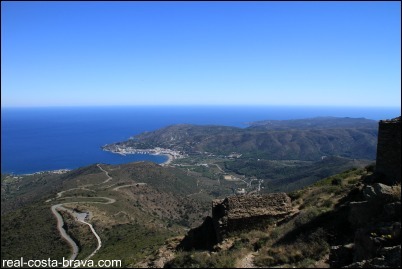 You can also come from Cadaques following the coastal road (this takes longer). To get to here by public transport is difficult. 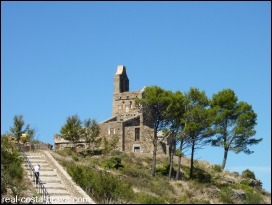 Your best bet is to get to Port de la Selva and take a taxi from there.